This is how much women would save if the tampon tax was abolished. Exactly how much you would save if the "tampon tax" was abolished. This is how much women stand to save if the GST tax on tampons is abolished. There’s been a lot of talk about abolishing the Tampon Tax lately. 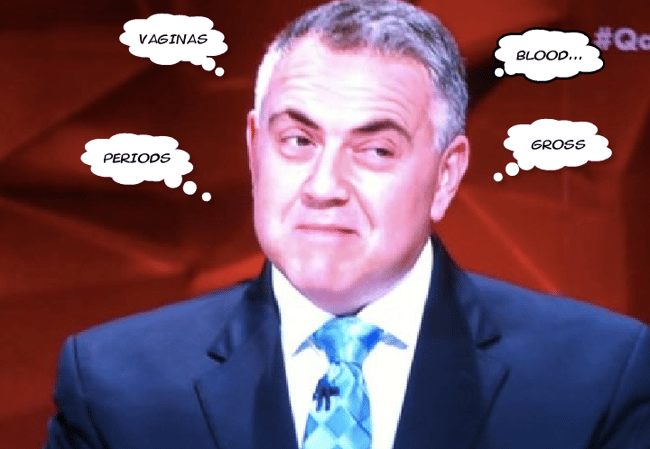 In an exciting development on last night’s Q&A, Treasurer Joe Hockey agreed to lobby the states and territories to make sanitary products exempt from the Goods and Services Tax. But how much do we actually stand to save? Listen up, guys: we’re about to do some maths. A box of tampons, on average, costs about five dollars. A box of pads will set you back another five dollars. Assuming we go through about a box of tampons and a box of sanitary pads per period, and we have 12 periods a year, we’re looking at $120 a year. The age when the average woman begins to menstruate is 12 years old, and she’ll normally hit menopause around 52. That’s 40 years of period spending. That’s right. You spend the equivalent of around-the-world-flights, a second-hand car, a whole new wardrobe or half a year’s rent on just NOT BLEEDING EVERYWHERE. Which – need I even say it – is kind of in everyone’s interest. And that figure doesn’t even take into account pain relief (a necessity), birth control (a necessity) and four family-sized blocks of Cadbury Fruit and Nut per month (a necessity). More importantly? $480 of that cost is GST. The bottom line? If the States step up and abolish the GST tax on necessary sanitary items, this will be all of us. If it doesn’t work, at least we have this: a picture of Joe Hockey‘s face when he’s forced to think about periods on national television. How much do you spend per month on your period? 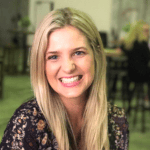 How much do you stand to save if the tampon tax is abolished? Treasurer Joe Hockey agrees to lobby states to ditch GST on tampons, sanitary items after question from student on Q&A. Why do women have to pay tax on our bodies but men can f*ck for free? There’s no GST on condoms and lubricant. So why is there one on tampons?